It's not just your ordinary Stripe Shirt. 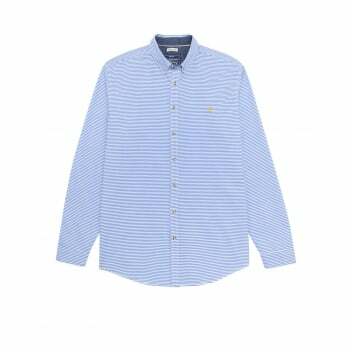 The Joules Talbert Classic Fit Shirt with horizontal stripes in a gorgeous ocean blue. The perfect versatile shirt for the summer months, teamed with chinos, jeans or shorts will ensure your perfectly styled. Crafted from the finest of Cotton for a comfortable and cool wear.